Photo of French actress Barbara Laage in her Paris apartment by Nina Leen, 1946. The great poet and author Maya Angelou passed away on Wednesday, a big loss for the world. 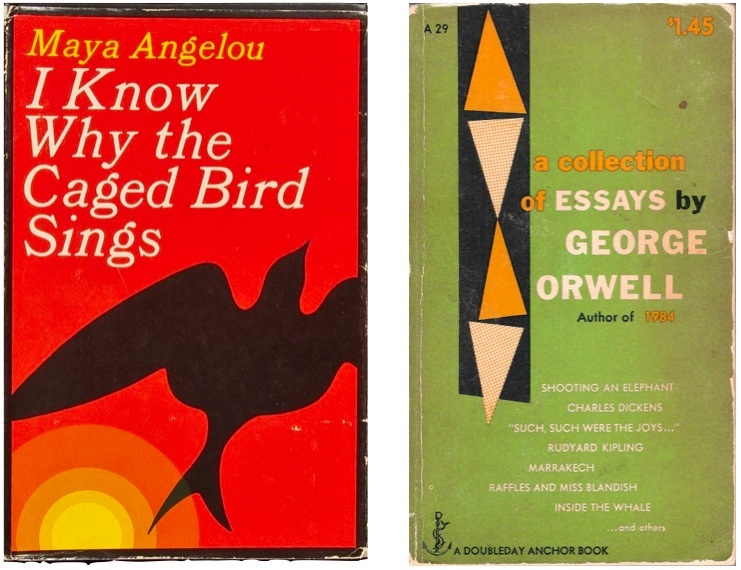 I've never tackled any of her lengthy titles and am planning to start with I Know Why The Caged Bird Sings on Friday while on a plane. Earlier this month New York Times columnist David Brooks opined on his eight favorite books (Really Good Books Part I and Part II). His list is unsurprisingly intellectually rigorous, which doesn't necessarily lend itself to a breezy summer read, but it's an interesting list nonetheless. From his recommendations I added A Collection of Essays by George Orwell to my summer list. I'd love to know: What are some of your all-time favorite reads and what's on your list for this summer? My last summer reading was North and South, Elizabeth Gaskell. Currently on Game of Thrones because I'm sick of getting spoilers! For a GREAT fantasy read, pick up The Name of the Wind (Patrick Rothfuss) over GoT, hands down. An excellent one, and quite Tomboy Style appropriate, is Robyn Davidson's "Tracks." Another eternal favourite is "The Easter Parade" by Richard Yates. Currently reading "My Life in Middlemarch" (appropriate since I finally read Middlemarch a couple of summers ago). Re-reading Jane Austen is always a great summer pastime and I plan to tackle volume two of Karl Ove Knausgaard's "My Struggle" once it's out in paperback in June. They rebroadcast a Maya Angelou interview on Diane Rehm today; it was so nice. As for summer reading, I could read Alas, Babylon by Pat Frank a million times. It's a 1950s post-apocalyptic, survivalism novel set in my hometown--such a good, easy read. And Dr. John Ratey's Go Wild is on my list for this summer. Last summer I read all of J.D. Salinger's short stories (Definitely recommend, by the way), and The Stranger by Albert Camus (also a great read), as well as some non-fiction texts. This summer my list consists of finishing Catch-22 (which I recently started), as well as some Vonnegut, Hemingway, Wilde, and a ton of college pamphlets. So happy to see some of my favorites here like The Count of Monte Christo, Out of Africa and everything by Salinger and Austen. If you haven't read them already, do! My favorite book of all times, which I recommend to everyone whenever I get a chance, is 'Dix heures et demie du soir en été' by Marguerite Duras. I'm afraid I do not know the english title but translated it is something like: 'Ten thirty a summer evening'. Her other books such as 'The Lover' and notebooks are also very read-worthy. My other summer read recomendation is 'The summer without men' by Siri Hustvedt. I'm excited you're getting to read "I Know Why the Caged Bird Sings." Enjoy! I love George Orwell's writing! This summer, there are loads of biographies I want to read. I'm currently reading Frances Donaldson's book on P. G. Wodehouse. Then there's Jack London, Alan Turing, Oscar Wilde. If you can recommend any tomboy (auto)biographies, I'd love to read them. Most of my readers are women, and they like a good mystery too! Murder in Mexico is my series of twelve mysteries set in and around the upscale expat colony of San Miguel de Allende. Artist Paul Zacher is drawn into crime investigation because ‘he might see things differently.’ Maybe it’s time for the rich humanity of Mexico to show through all the narco headlines! Ready for the real Mexico, beyond the phony news reports? Take a look at this suspenseful and often funny series, available in Print, Kindle, Nook, & Kobo. Start with ‘Twenty Centavos’ by trying a sample on my website. My favorite book is Reynolds Price's The Source of Light which is the middle book of his trilogy, A Great Circle. The book includes one of my favorite quotes, "You'll only regret your economies."